Labour is ready to enter talks about a plan B for Brexit if a no-deal scenario is ruled out, UK opposition leader Jeremy Corbyn said at a press conference in the coastal town of Hastings in southeast England on Thursday. He said Labour would set out amendments to the deal that centred around the pillars of a permanent customs union, a strong single market relationship, and keeping pace with all the EU's rights for workers. Speaking in the wake of a failed motion of no confidence against the government on Wednesday evening that he tabled, he urged British Prime Minister Theresa May to "ditch her red lines" and "get serious". 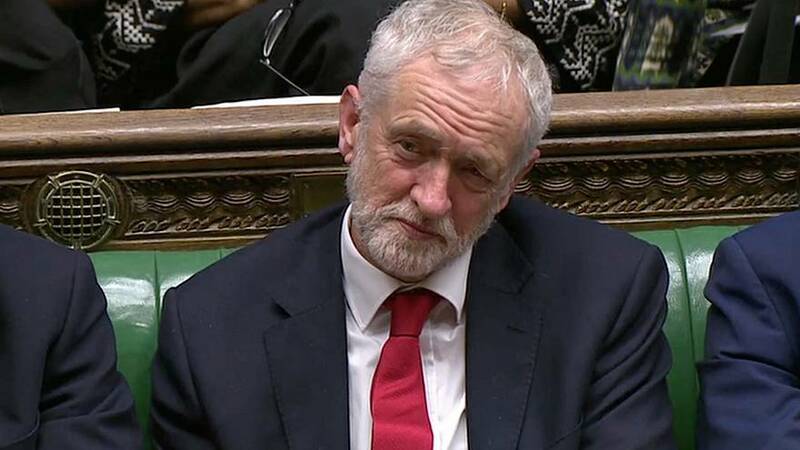 On the subject of the confidence vote in Parliament, Corbyn said the government had survived "for now" and that he "will come back on it again (with another motion of no confidence), if necessary". Euronews' correspondent Vincent McAviney asked the opposition leader if he would push for a second referendum on Brexit if there were a general election, to which Corbyn replied Labour would consider their stance. "It shouldn't be a rerun of what happened in 2016," he added. You can watch Corbyn's speech back in the video player above.